In order to take full advantage of these functions and features of the MindWave, the MindWave must be properly worn. 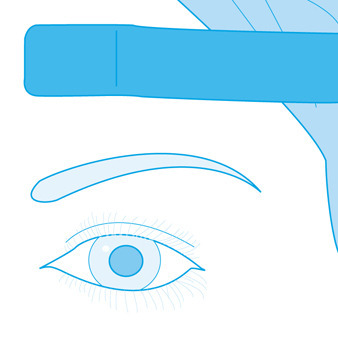 Orient the MindWave with the forehead Sensor Arm on your left hand side. Rotate the Sensor Arm from its base by about 90 degrees. It can be rotated slightly more if necessary to get proper fit and comfort. 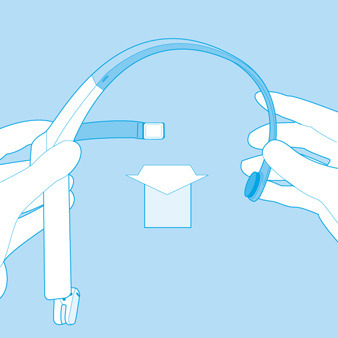 The overhead band of the MindWave is adjustable and can be extended to fit various sizes. Put on the MindWave. If the sensor does not make contact with the forehead or if the fit is not comfortable, remove the MindWave to readjust the overhead band and the forehead Sensor Arm. 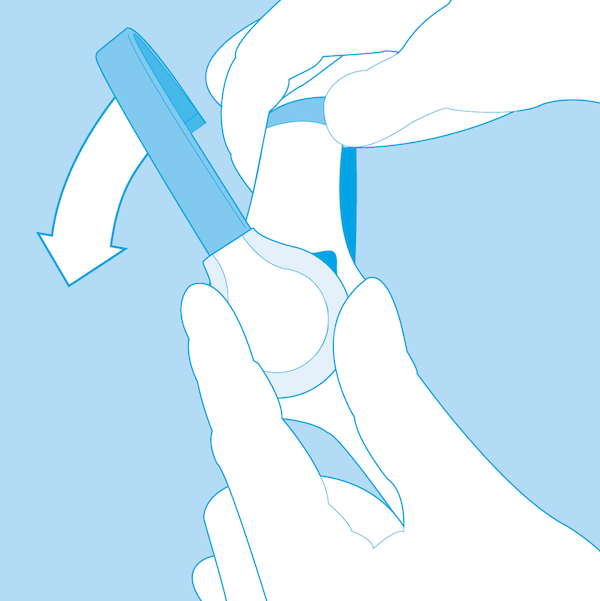 The forehead Sensor Arm is flexible and should arch inwards. Allow the rubber ear hoop to rest behind your left ear, and then clip the earclip onto your earlobe. Make sure the two metal contacts on the inside of both sides of the earclip make skin-contact with your earlobe or ear. Move any hair or obstructions (such as jewelry) out of the way. Readjust the earclip as necessary to make proper contact with the skin of your ear. You may need to squeeze the ear clip against your ear for a few moments. Adjust the forehead Sensor Arm of the headset so that the Sensor Tip makes contact with the skin of your forehead. 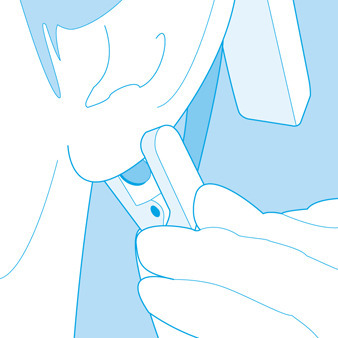 This Sensor Tip must maintain steady skin contact in order to properly measure your brainwaves. The Sensor Tip should be comfortable, yet stay firmly in position. Keep hair away from the sensor – the sensor must be able to directly contact the skin at all times. Make up, dead skin, or debris can interfere with the connection. Scratch or wipe the obstruction away if you have trouble obtaining a clean signal. This is how the MindWave should look when properly worn. During usage, if you are not receiving a signal, repeat the steps above to make minor adjustments to ensure the sensor and contacts have proper skin contact.